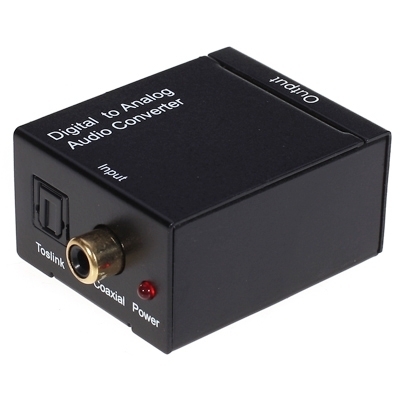 -This Digital to Analog Audio Converter is designed for either home or professional audio switching. Itconverts Coaxial or Toslink digital audio signals to analog L/R audioand available for connection to an external device such as an amplifier via standard RCA-style jacks. This Converter is small in size and quite easy to install. - Supports sampling rate at32, 44.1, 48 and 96 KHz.